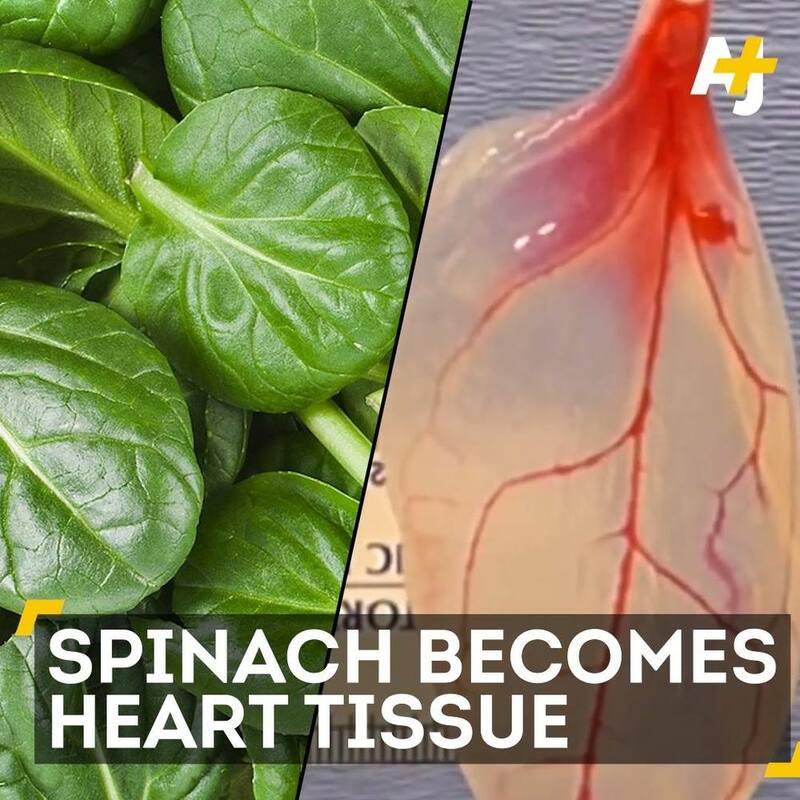 Scientists can now grow heart tissue on spinach leaves. MIND. BLOWN.